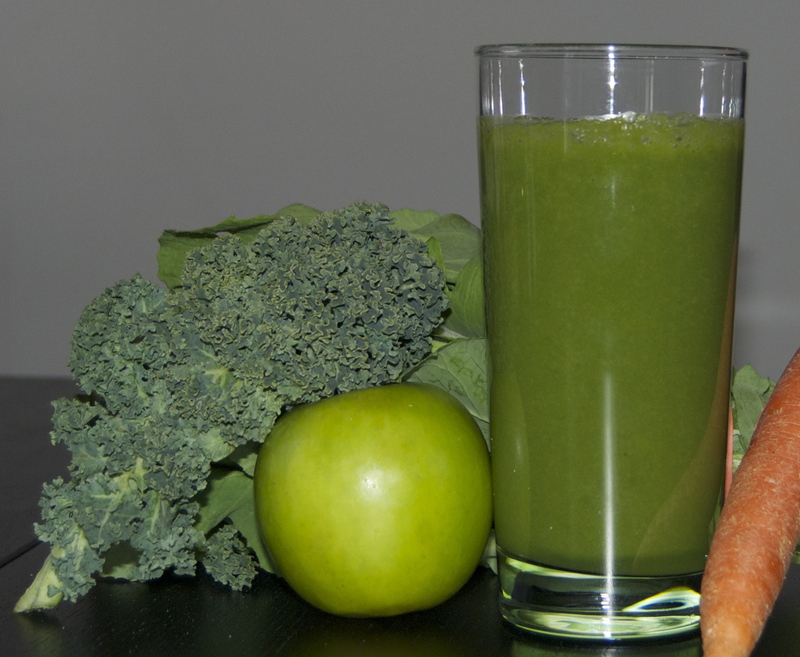 Trade in your green beer for a green smoothie this St. Patrick’s Day! I was a skeptic of drinking my greens until recently, and now I’m hooked. For the fellow skeptics, start with just a few greens and then slowly add more each time. We’ve been aiming for a ratio of half vegetables and half fruits, with most of the vegetables being leafy greens. Many people ask, “Why smoothies instead of juice?” I have two main related reasons: less waste and easier clean-up. I like knowing that I’m getting all the nutritional benefits of the whole fruit and vegetable. Also, I hate cleaning up. The vitamix blender I use has a clean setting, so all I have to do is rinse out the soap at the end. Any variation of this smoothie makes for a very filling breakfast or snack. Today’s smoothie included the following ingredients, many of which were available at this morning’s farmer’s market. It’s fun and healthy to vary the ingredients daily, and pretty much any combination is good. Blend 2 cups of water with the kale and vitamin greens until you have a gorgeous green water. Put the rest of the ingredients in the blender and blend until smooth. Drink right away, or put some in the fridge for later or the next day. The peaches this year have been delicious, and my only complaint is that we cannot eat them all before they spoil. So, I opened up Sherri Brooks Vinton’s preserving book: Put ‘Em Up! and got to work. This week’s preserving projects were Peach Salsa and Peach Leather. Note: If you are planning on canning the salsa, read the information at the bottom of the directions first, since you need to prepare your materials ahead of time. Canning can be a daunting project when working solo. I recommend canning in a small group to ease the stress and add to the fun. 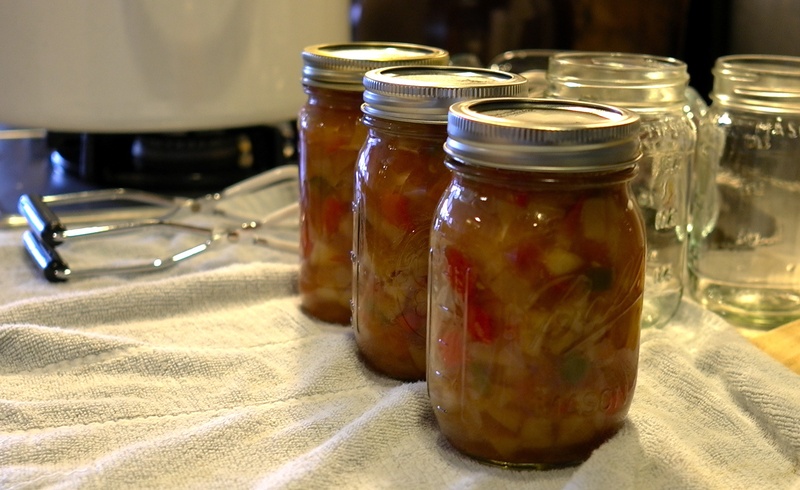 Canning is a great way to enjoy the bright flavors of summer in the dead of winter. If you plan on eating or sharing the salsa within a week, no need to can it. Prepare an ice-water bath in a large bowl. Bring a large pot of water to a boil. Working in batches of 2 at a time, blanch the fruit in the boiling water for 30 seconds to loosen the skins. Scoop the peaches out of the water and plunge them into the ice-water bath. Repeat with the remaining peaches. Drain. Combine the vinegar, brown sugar, cumin and salt in a large nonreactive pot. Using a small paring knife, peel, pit, and dice the peaches, adding them to the pot as you go to prevent browning. Add the tomatoes, bell pepper, jalapeno, and onion, and bring to a boil. Reduce the heat and simmer until thickened, about 15 minutes. Add the cilantro (!) and remove from the heat. Canner (or large pot with layer of jar rings on the bottom, thread side down) Your container should be large enough that there is at least 2 inches of space above the height of the cans. jars (I used 3 pint jars for this recipe, and there was some salsa leftover to eat right away. You can also use double the amount of half-pint jars, as they will require a shorter canner.) You will need extra jars to fill up the canner, so the cans do not tip while processing. Right away, get the canner filled up with water–enough to cover the jars– and heat it up with the lid on. It will take a while to bring to a boil, and you want it to be ready while the salsa is still hot so you can do a hot fill. Run the jars in the dishwasher to ensure they will be clean and piping hot when the salsa is ready to go. Wash the lids and place them bottom-side down in a small heat-proof bowl. If you don’t have/don’t want to use a dishwasher, you can bring the jars to a boil in the canner once to get them nice and hot. Prepare the recipe as outlined above. Lay out a clean kitchen towel and have all our equipment nearby. Using the canning tongs, remove a jar from the canner, and carefully tip the hot water into the bowl with the jar lids so their sealing rings begin to soften. If your jars were in the dishwasher, just pout hot water over the lids–you can ladle some from the canner. Use the canning tongs to remove additional jars from the canner, emptying the water directly back into the canner and placing them, open side up, on a clean kitchen towel. Use the canning funnel to fill a jar with the hot salsa, leaving 1/2 inch of headspace. Release trapped air with your bubble tool or chopstick. Repeat steps 7-10 with remaining jars. Use the canning tongs to lift the filled jars (be careful not to tip them) and lower them into the canner, being sure they are covered by 2 inches of water. Cover the pot and bring the water to a rolling boil. Lower the heat a bit, so the water isn’t rolling out of the pot by still maintains a lot of rolling action. Start timing 15 minutes after the full boil is reached. After 15 minutes, turn off the heat and remove the lid from the canner. Let the jars cool in the canner for 5 minutes. This way they won’t spurt at you! After 5 minutes, use the canning tongs to lift the jars STRAIGHT out of the canner. Do not tip them!! Place them on a clean dish towel-covered counter. Let cool overnight. You will need to tighten the jars again. Store them in a cool, dark place for up to one year. Scoop the peaches out of the water and plunge them into the ice-water bath. Repeat with the remaining peaches. Drain. Using a small paring knife, peel, pit, and roughly chop the peaches. Bring the peaches and 1 cup water to a boil in a medium nonreactive saucepan (I used stainless steel). Simmer until they begin to break down, about 5 minutes. Remove the fruit from the heat, let cool slightly, and puree with a traditional blender or stick blender, or by running it through a food mill. Preheat the oven to 170 degrees F. Line a jelly roll pan or a rimmed baking sheet with parchment paper or a silpat and set aside. Return the puree to the pot and simmer over low heat, stirring frequently, until it thickens to the consistency of baby food. Add the lemon juice and sugar and stir to dissolve. Cool to room temperature. Slide the parchment onto a cutting board and roll the leather into a tube. 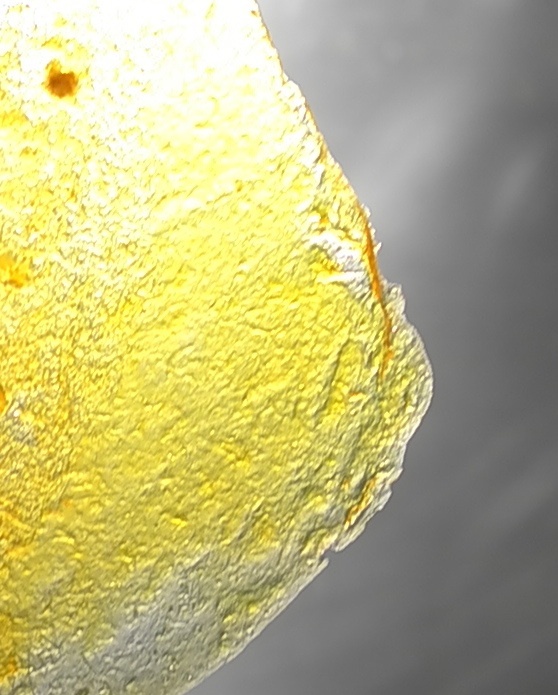 Slice the tube into 2-inch segments and store in a covered jar for up to 1 month. *My puree took much longer than 2 hours before it turned tacky, and when it did turn tacky it did so unevenly. Next time, I will try to spread it in a thinner layer, and make sure it is as even as possible. Also, I will try to use bottled lemon juice as this may have caused the problem, too. I’d love to hear how yours comes out!